Every year, on the last Saturday of July, Tokyo's night sky is illuminated for one of the most awaited event of the capital's Summer: the Sumidagawa Hanabi Taikai (Sumida river Fireworks Festival). This year, the festival will take place on Saturday, July 29th! If you are in Japan this Summer and planning on viewing some fireworks, the Sumidagawa Hanabi Takai is THE festival to attend: it is believed to have started in 1733, and to our greatest delight, pyrotechnic companies often compete to offer viewers the best show. Just like for any other natsuri matsuri (Summer festival), be ready to find lots of stalls selling delicious Japanese specialties such as Yaki Souba (stir fried noodles), Jagabataa (boiled potatoes with butter, salt and kimchi), or Kakigouri (flavored shaved ice), while others offer games for children, such as Youyou tsuri (yoyo fishing) and Kingyo Sukui (goldfish catching). And with Asakusa being one of Tokyo's most traditional areas, the festival will also be an occasion to admire a myriad of colourful yukata, the lighter version of a kimono, worn by event goers. But of course, you want to know about the fireworks: with two launching points (upwards of Kototoibashi Bridge, and between Komagatabashi Bridge and Umayabashi Bridge), they will start from 7pm, and last for an amazing 90 minutes!! Naturally, the area will be extremely crowded, with an estimation of 1 million participants. For this reason, we suggest you save a nice viewing spot early in the day (some people save their seats up to one day in advance! ), and avoid taking your car, as the circulation will be modified for the occasion. 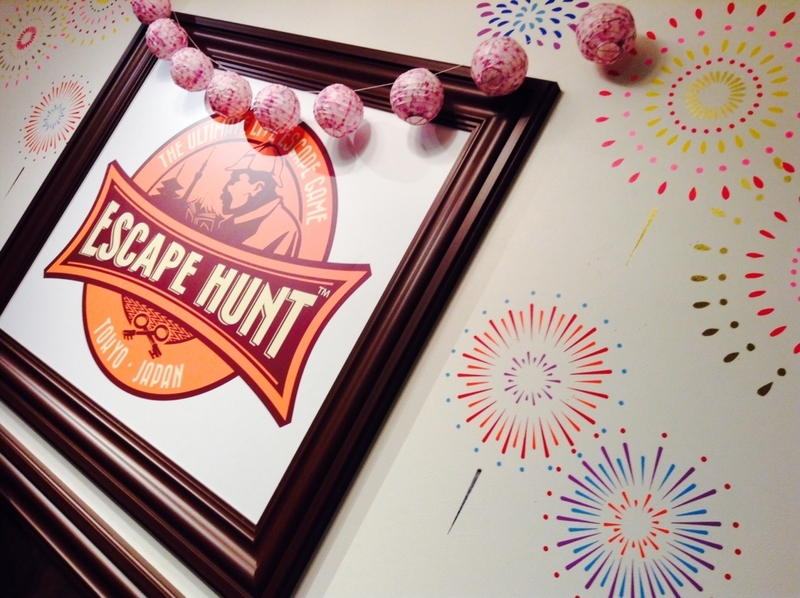 And while waiting for the real show to start, why not leave the crowd behind and admire another kind of fireworks at Escape Hunt Tokyo? Our game rooms are full of mysteries, and offer the best way to spend 90 minutes with your partner, family, friends or colleagues before getting ready for the evening show. And as we are a mere 10 minutes walk from Sumida river, you are sure to be on time for the first fireworks! Will you choose to complete your ZEN training, save the Shogun, or solve the mystery of the disappearance of our Bride? Don't wait any longer: book your game room now and enjoy a very Japanese Summer evening!